There are four generally recognized forms of poliomyelitis: the asymptomatic, the abortive, the non-paralytic, and the paralytic. The first two have no known lasting effects. The non-paralytic form of polio is usually indicated by nausea, headache, sore throat, back and neck pain, and stiffness. In addition, there are changes in reflexes and an elevated spinal fluid cell count. It is estimated that 65% of recognizable cases during the polio epidemics were non-paralytic. It is possible that there may be some unrecognized muscle involvement. Paralytic Polio shows the same symptoms as the non-paralytic plus weakness in one or more muscle groups. It is commonly classified in the following manner: SPINAL: this type is most frequent and is associated with involvement of the trunk or extremities; more often the lower extremities. Weakness does not fit any pattern; BULBAR: symptoms can include difficulty swallowing, loss of voice quality, and sometimes tongue and facial paralysis; BULBOSPINAL: this type of involvement is usually severe and is associated with respiratory impairment. 10% to 25% of the paralytic cases seen during the polio epidemics were of bulbar or bulbospinal type. The polio virus affects the body by attacking the central nervous system, specifically the anterior horn cells. These motor neurons are located in the front part of the spinal cord and are essential for any muscle activity. The motor neurons rooted in the anterior horn travel outward through the peripheral nerves to innervate muscle fiber. Depending on the location of the muscles they supply, these motor neurons can be a few inches or several feet long. Sensory nerves travel from their specialized receptors to the spinal cord and enter the posterior horn. Sensory nerves are rarely affected by the polio virus. Many individuals lost considerable function during the acute state of polio but regained a large part of that function. It appears, however, that a large percentage of these individuals are experiencing renewed weakness, sometimes accompanied by fatigue or pain. Definitive studies are incomplete, but the best medical evidence at this time would indicate that a combination of factors associated with overuse are responsible. If we take a closer look at the recovery process, we can see why this is so. The polio virus attacks randomly. Sometimes the motor neuron damage is not severe and the cells can recover much of their function. Other neurons may sustain more complete and irreversible damage. Even if this is the case, however, function can often be restored by "sprouting". Motor neuron cells have the ability to send out new axons that can innervate between 200-500 individual muscle fibers. If a percentage of motor neurons are destroyed and sprouting takes place, the remaining motor neurons may be innervating as much as four times the normal amount of muscle fiber. It is assumed that the additional load that this places on motor neuron metabolism will, over the years, cause a failure of impulse strength. This seems to begin about 20-30 years after polio onset, and is probably a contributing factor for the renewal of weakness. Another possible cause for this renewed weakness, especially in older individuals, is the normal loss of motor neurons. This is a natural part of aging. It is estimated that a person will begin to lose about 1% of their motor neurons per year after the age of 60. This is not very significant if an individual starts with 100% of their motor neurons and all are intact and undammaged. This is not the case with many post polios. Their supply was depleted by the polio virus, and this gradual loss will have a much greater impact. Some individuals may have gained a degree of recovery by building up the strength of their remaining musculature by exercise and intense use, similar to athletic training-a term called hypertrophy. These individuals, however, used this strength in their day-to-day activities and thus the muscles have been performing continually at a level that is no longer tolerated. In addition, many affected muscles that were believed to be "good" or "normal" with manual muscle testing, have been found to be less than this when EMG and other studies were done. In normal activities these muscles have also been working harder than was once believed. Muscle weakness due to polio is often asymmetrical. This can put added stress on the entire neuromuscular system, as well as adding strain to joints and supporting ligaments. The result may be an increase in arthritis-like pain. The question now arises, what can be done to alleviate this condition or prevent the further degradation of muscle strength? First, an individual should seek medical advice to rule out other possible causes for their symptoms. Just because a person has had polio does not make them immune from other physical ailments. Second, it is highly recommended that a complete physical evaluation be done. This should include examination by an orthopedic specialist, and complete pulmonary function tests. Ideally, these should be done by physicians who are familiar with polio. You should ask for these test results in writing. Even if no immediate problem exists, this will provide a baseline for measuring your future status. Lifestyle modification is the most important therapy for new weakness. This will reduce the strain placed on the body. Learning to listen to the body's signals is vital to any plan designed to reduce further degradation of muscle strength. If you are tires, rest. If you hurt, stop. An orthopedic specialist may recommend braces, or other assistive devices, to help relieve the stress that is being placed upon weakened muscles and joints. In some cases this is sufficient to halt the progression of weakness. Using assistive devices (electric wheelchairs, scooters, etc.) is resisted by some individuals. They feel that they are "giving in" to their new symptoms. What they assume to be a burden can actually be very liberating. Using these aids will allow them to reserve their energy for those activities that they feel are most important. Selective surgery can sometimes redistribute the residual control so that strain is reduced. Because pulmonary function has such important bearing on an individual's general health, this area deserves special emphasis. Standard tables for vital capacities list variable for age and height. These may not have much relevance for many polio survivors. Actual volume, measured in liters or milliliters, is a better indicator of pulmonary status. It is a good idea to have your vital capacity measured lying down, as well as sitting. For anyone with a volume of less than 2 liters, a follow up should be made at least yearly. Arterial blood gas measurements for carbon dioxide may be warranted. Generally CO 2 levels between 35 and 45 are considered normal. The CO 2 level in your blood can become elevated, gradually without one being ware of the change. If the level becomes high enough, the blood's ability to carry oxygen will be respiratory insufficiency. Respiratory function can also be affected by scoliosis or a reduction in rib cage flexibility that often occurs as a person ages. Many individuals have asked about the role of exercise for those experiencing the late effects of polio. There have been studies that indicate a 10% increase in muscle strength following closely monitored exercise programs. The number of participants was too small to come to any definite conclusion. If a person feels they may benefit from additional exercise, then an aerobic type of exercise is probably best. A 20 minute program consisting of 2 to 3 minutes of activity followed by rest could be tried. Swimming, yoga, stretching and tai chi are other forms of exercise that can be tolerated well if done properly and regularly. Yoga, tai chi and water exercises can be done in a chair and many professional trainers are aware of the effectiveness these latter exercise forms have while done in a sitting position. It is true that a significant number of polio survivors get enough exercise from the activities of daily living. If it is true that overuse is a contributing cause of renewed muscle weakness, the strenuous exercise regimes should be approached with caution. 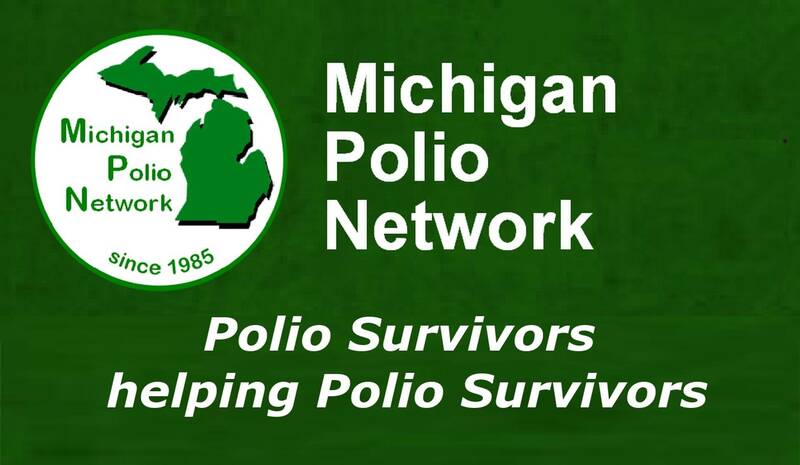 The U.S. Department of Health estimates that there are over 600,000 polio survivors. Although a significant percentage of these polio survivors are experiencing some late effects, there is no reason to expect that all individuals will be affected.